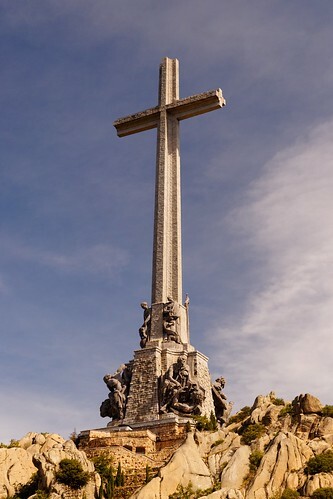 World's Tallest Memorial Cross is part of the memorial complex known as "The Valley of the Fallen" (Valle de los Caídos) situated at Cuelgamuros Valley, Sierra de Guadarrama, near Madrid, Spain. 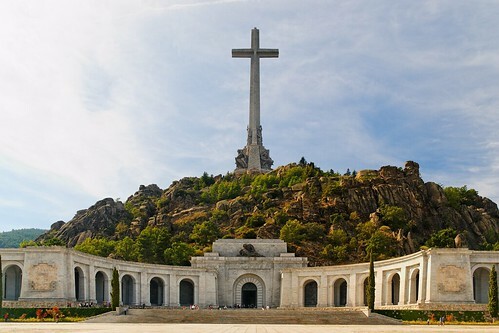 The memorial complex was built between 1940-58, at the order of Spanish dictator Francisco Franco to honour those who fell during the Spanish Civil War. It consists of the giant cross and a huge basilica (originally a crypt) hewn out of a granite ridge on which the cross is situated. 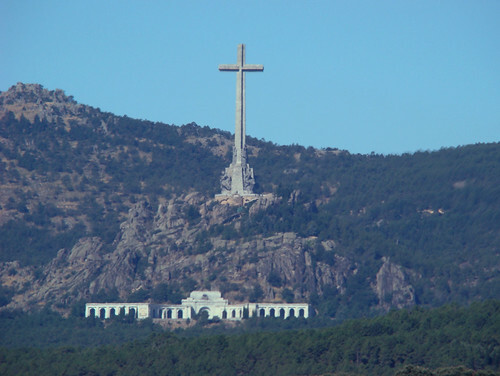 The Cross made from stone is 152.4 metre high and its arms have an end to end width of about 47 metres. Built on top of rocky cliff it is visible from a distance of about 60 kms. 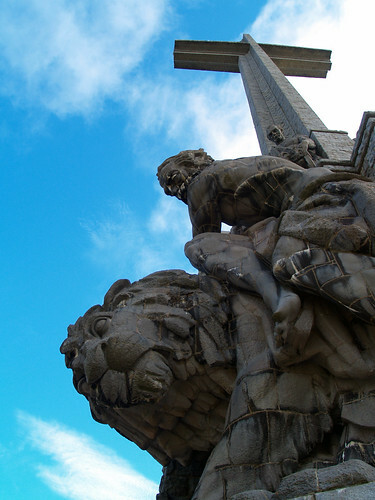 At the base of the cross there are four huge sculptures (18 meters high) depicting the four Evangelists. The underground crypt was declared as Basilica in 1960 by Pope John XXIII. The size of the crypt which extends along a 262 metre long nave was bigger than the St. Peter's Basilica in Rome. However in order to avoid competition, a partitioning wall was built near the inside of the entrance and a sizeable entryway was not consecrated. 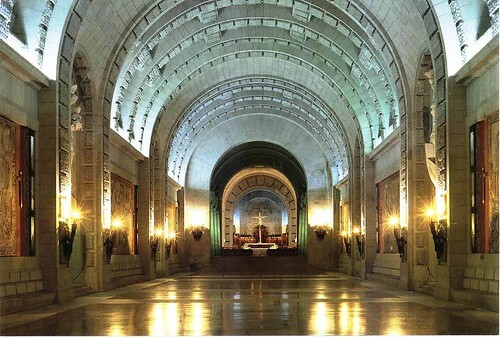 The high alter in the Basilica lies just underneath the giant cross and the graves of Francisco Franco and José Antonio Primo de Rivera, the founder of the Spanish Falange (the Spanish fascist party) are located at the foot of the alter.